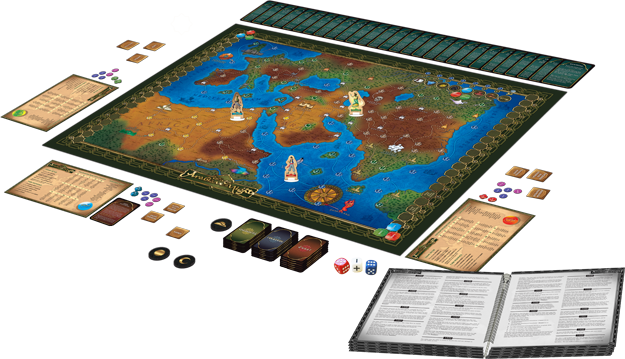 In Tales of the Arabian Nights, you are the hero or heroine in a story of adventure and wonder worthy of legend. Travel the land seeking your destiny and fortune. 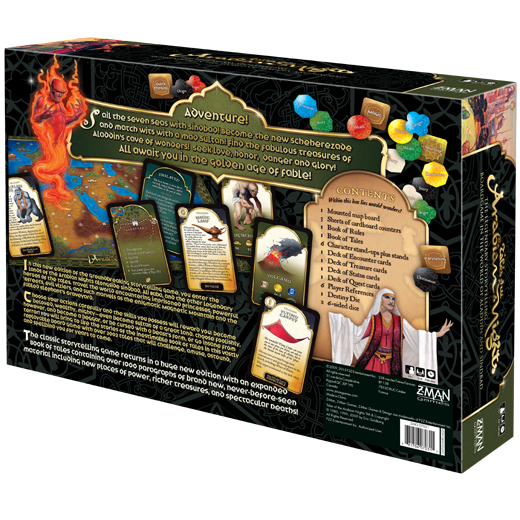 Along the way, you'll encounter interesting people and strange creatures, learn stories, and gain wisdom to share with others. 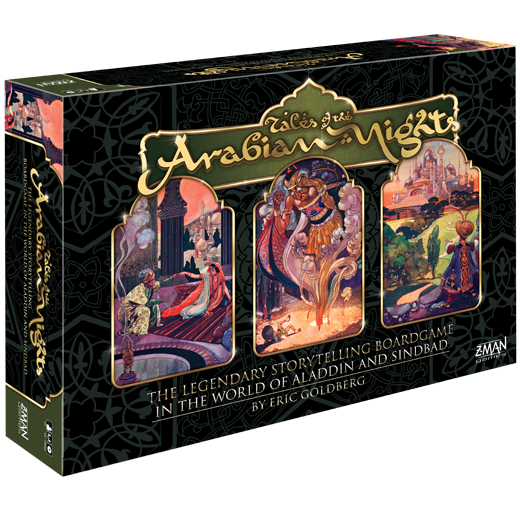 While there is a winner in Tales of the Arabian Nights, the game is less about seeing who wins and more about enjoying the unfolding and telling of great stories! 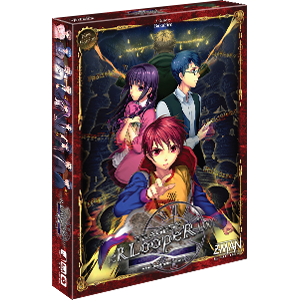 At the beginning of the game, you determine what skills your character has. These skills unlock story options as you make your way through the world. 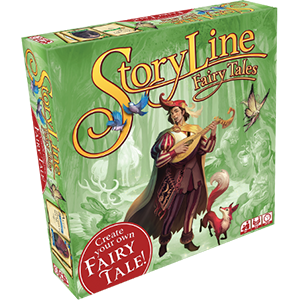 Become a master of magic, an expert swordsman, a master wordsmith versed in courtly graces—or all three!—as your story progresses and your skills evolve. 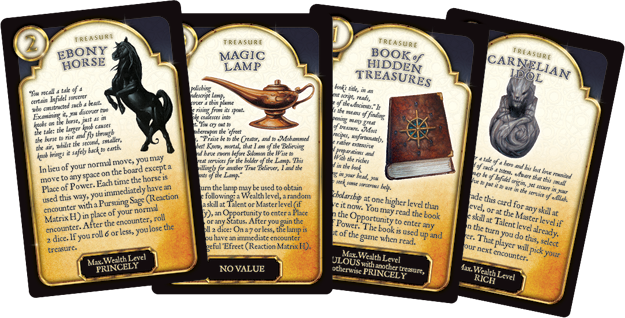 Make the right choices and your skills will reward you, revealing additional choices in your encounters and even the opportunity to draw one of the thirty Treasure cards. Play to your strengths and you could be handsomely rewarded! 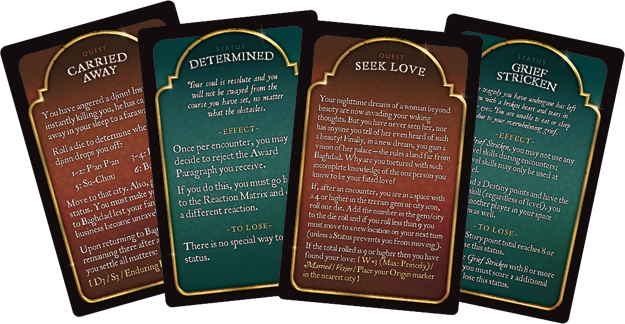 In addition to facing encounters each turn, players also receive quests that ultimately contribute to their legend. 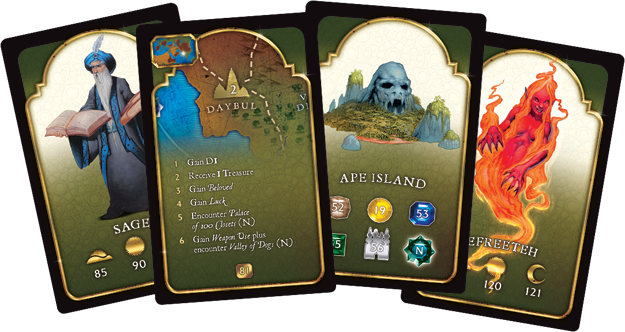 As each game progresses, players acquire Story and Destiny points for completing quests and having successful encounters. 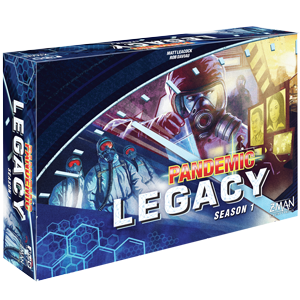 The game ends when a player fulfills their destiny by reaching a combination of Story and Destiny points of their choosing. 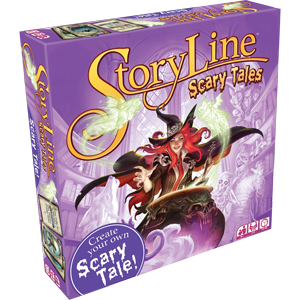 Even though that game may be over, all the players have tales to tell that will challenge, amuse, astound, and spellbind them for years to come.